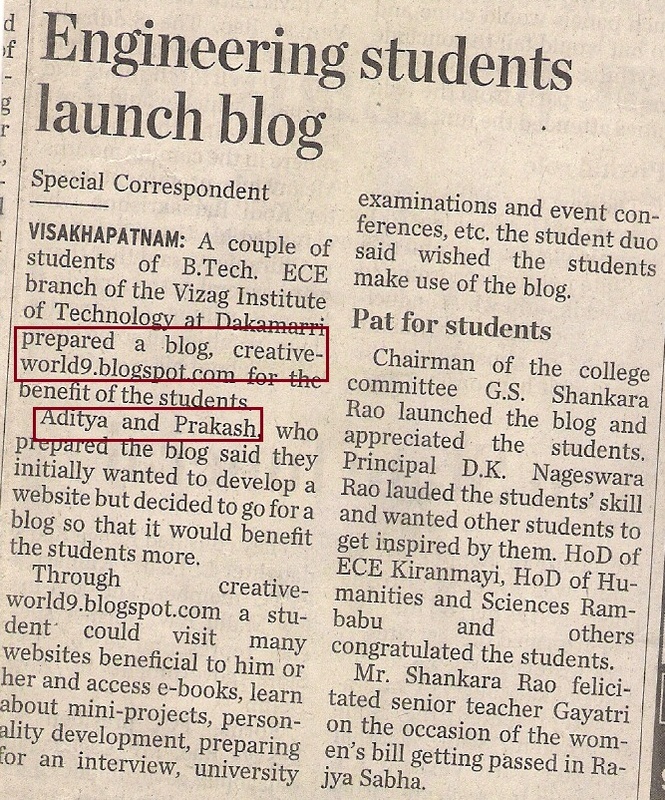 my websites www.creativeworld9.com and www.examsadda.com has got good ratings.Both sites are rated as 1 by Google Page Rank.After launching of this site we have got good reviews& complements in famous news papers such as “EENADU” dated on March 18th 2010 “The Hindu” dated on march 17th 2010 .We have got good ranking by alexa 250,511 (Global Alexa Traffic Rank) around tones of website in this web world and 23,024 (in INDIA) till date. This site has nice search optimization. We will improve this site more and more…just we need your encouragement. Thank you so much !!!! all the guys ! !thanks a lot !!! adi u jst awesome !!! inni yrs tarvatha net lo photo pettava kada !! what an profile sir jee !!! kummei !! dont forget me !!! love "U" aaryan !!! no word to say more dan dis !!! anna this kumaraswami. 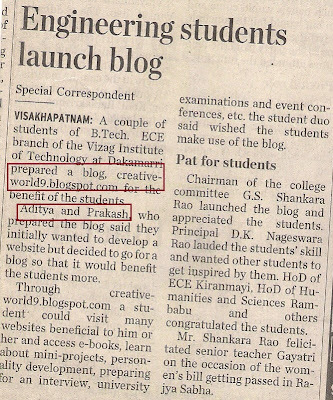 your web site www.examsadda.com. it very use full for all engg students. anna i want contact yours. please tell me your contact phone number or fb id or mail id. loved your post. amazing, thanks.